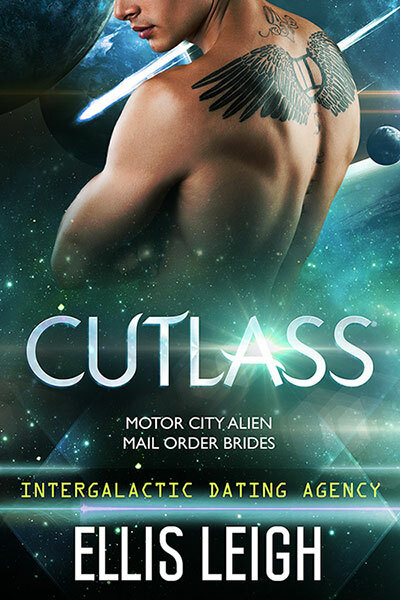 Cutlass never thought he’d be stuck on some backward planet in a solar system with only one sun. Earth wasn’t his home, but he’d find a way to survive there if it meant finding a mate. He could put up with their ancient mechanical devices and a name that wasn’t his own for the right woman. Chloe never imagined she’d sign up to be some sort of modern-day mail order bride. But too much wine and an internet connection were a bad combination, especially when the life she imagined seemed so much greater than the life she was living. Everyone stretches the truth on those dating websites, right? One ad in a space station, one night of too much drinking, and one hotel room that will never be the same. What would you do if you found out the man from your fantasies was actually the man from your science fiction?